Kwakiutl Midwinter Ceremony + Cartoon Fun by Brownielocks. The Kwakiutl Indians not only inhabit the Pacific Northwest, Alaska and up into Vancouver Island in British Columbia, they also live as far south as northern California. However, they are not the only tribes that inhabit these areas. Their Kwakiutl ceremonies are done in February. Their beliefs go back before their people even existed. They believe that the world was ruled by animals such as bears,wolves, seals, ravens, bees (I know it's an insect really! ), owls and the killer whale. All of these animals are believed to have super powers, who generously gave some of these powers to humans, who are the ancestors of the Kwakiutl today. The winter ceremony season is when they acknowledge and reaffirm their connection with the supernatural world. This is done by performing dances or tseka (see Hamatsa Dance below). This dance is done by performers who are dressed in strips of cedar bark and wear ornately carved masks that are designed in such a way to evoke the spirits. The actual dance movements are to illustrate characters and incidents from Kwakiutl mythology. The midwinter ceremonies also include feasts. The favorite dishes served during this ceremony are salmon, salal berries, cranberries, huckleberries, blackberries, soapberries and crabapples. (Note: The soapberries are whipped up into some kind of froth and not served as whole berries.) Some of the traditional serving dishes of the past (that were used for these foods) were so elaborately carved that they have become valuable and can now be seen in museum collections. Just as important as the buffalo was to the Plains Indians, the salmon was just as important to the tribes of the Northwest. Each year, salmon was caught in great numbers and were the staple of the Native American diet. Kwakiutl legend says that the salmon were supernatural beings who lived in their own villages under the sea. They had their own ceremonies and rites which were passed on to the Kwakiutl ancestors. 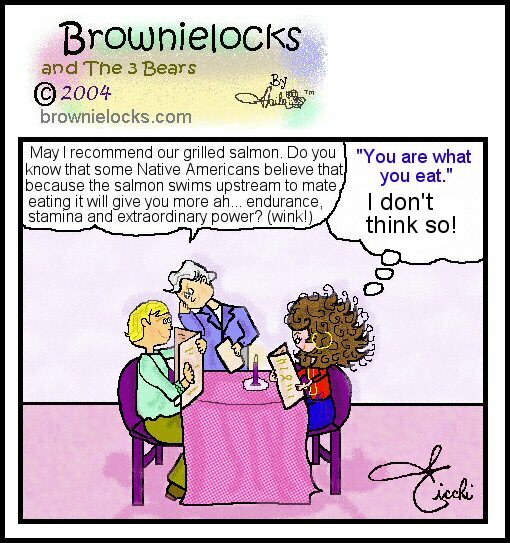 We all know that the salmon swim against the current on the inland waterways to spawn. These annual "runs" upstream are the reason the salmon have become a symbol of extraordinary power and perseverance. The Kwakiutl people have a First Salmon Ceremony. When the first salmon is caught it is cleaned ceremoniously, then placed on a mat or bed of fern leaves. It is welcomed with a prayer of thanks and promised good treatment. Then the bones and entrails are wrapped in the mat and thrown back into the river where it was caught. This is done so that its soul can return to its village and tell the other supernaturals that the Kwakiutl remember them and have been very respectful to them and treated them well. The salmon is then carried home by a selected group from the tribe, which is usually children, women only or the family of the fisherman who caught the first salmon. It is then roasted and eaten. Edgard Allen Poe wasn't the only one who felt the raven had some supernatural power. The Kwakiutl believe that it was the raven with the supernatural powers who placed the sun, moon and stars in the sky. The raven also put the salmon in the rivers and all the fish in the sea. The raven also gave the Pacific Coastal Native Americans fire and water and the foods they eat. The raven also had the power to turn himself into anything he wanted to be. Because of this skill, they felt the raven also loved to trick people by changing shape and form. Folklorists have collected numerous long stories called "The Raven Cycle" about this supernatural being. During the midwinter ceremonies, tribal leaders and shamans (those who serve as intermediaries between the natural and supernatural worlds) often wear raven masks. The raven is also important to other Indian tribes. Its image can be found on the crest of the Tlingit and Haida of southeastern Alaska. Of all the dances performed, the Hamatsa Dance is the most important. This dance is performed by members of the Cannibal Society, considered the most prestigious of the secret societies for which initiation rites are held during this period also. Members must undergo special training and long periods of withdrawal from normal society. By doing this, they are bestowed the power of the Cannibal Spirit. The Hamatsa Dance has magical effects, ghostly calls and wild behavior. The dancers wear stylized masks. The most outstanding mask is that of the black and red Fool Dance. This mask has a huge nose and threatens audience members. Occasionally the dancer wearing this mask will throw stones at the audience to make sure they behave. Gift giving is a central feature of the social life of Pacific Northwest Indians and is called the potlatch. Tribal members hosting a potlatch give away most, if not all, of their wealth and material goods to show goodwill to the rest of the tribe. It also maintains their good social status. Tribes that traditionally practice the potlatch include the Haidas, Kwakiutls, Makahs, Nootkas, Tlingits, and Tsimshians. Gifts often included blankets, pelts, furs, weapons. During the 19th century slaves were a gift. And, in the twentieth century today it is money, jewelry and appliances!! The reason for potlatches are not just for the Kwakiutl Midwinter ceremonies. They are also held to celebrate marriages, name children, mourn the dead, and transfer rights or privileges from one generation to the next. Franz Boas was the first anthropologist to arrive in the Kwakiutl area in 1886. Many books and papers were written about them, much having to do with their potlatch. The word comes from Chinook, meaning "to give." But each cultural group had its own word for the ceremony. In Kwakwala it's called pasa, meaning "to flatten." In other words, to flatten your guests under the weight of gifts! This gift-giving helped maintain the hierarchy of the tribe. (I don't want to go off politically, but some even felt it had socialistic tendencies.) The ritual is believed to have originated from gift exchanges due to marriages, inheritance rites or death rituals. But it later grew into a form of wealth redistribution and maintained social harmony in the group and between tribes. In 1884, Canadian law banned the potlatch. The United States outlawed it in the early twentieth century. For several decades this law wasn't enforced because it was written so badly it made it confusing. In 1913, William Halliday became an Indian Agent. Under the authority of the Superintendant General of Indian Affairs, Duncan Campbell Scott, Halliday eagerly enforced the banning of potlatch. In 1921, Halliday had 45 of the highest-ranking chiefs and their wives arrested for violating the law. They not only sang, danced and gave gifts, they also gave speeches. About half, 22 people, were sentenced to prison for 2-3 years. The rest got suspended sentences on the condition that their villages turn over their treasures. During the prohibition years, the potlatch ceremony went underground. The hosts of the potlatch would choose villages that the police would have a problem getting to in bad weather. At this time, some Kwakiutl changed to Christianity and sent their children t missionary schools. This resulted in a lot of loss of their culture, including the potlatch ceremony. But, in 1934 the Indian Reorganization Act and the Canadian Indian Act of 1951 made the potlatch legal again. The increase in potlatches today shows the revitalization of this Pacific Northwest culture. Most of the potlatches are held in Alert Bay, in a big house. It was built in 1963 and holds about 700 people. Needless to say, it remains an important central feature of the Pacific Northwest Indian life today. Return to our February Holidays Page for more celebrations. "Holidays, Symbols & Customs 3rd Edition"